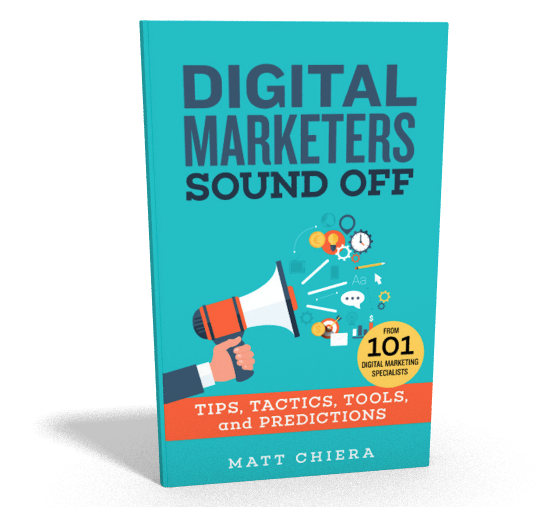 Digital Marketers Sound Off is available now on Amazon! In Digital Marketers Sound Off, you’ll find 101 accomplished digital marketing specialists sharing their favorite tools, tips, tactics, and predictions for the future. The book features insights from Fortune 500 in-house marketers, B2B marketers, B2C marketers, small business freelancers, agency owners, and consultants who work with some of the largest brands in the world. If you’ve never set up a digital marketing campaign before, this book will give you the information to set yourself up for success. If you’re an expert marketer, this book will provide fresh insights and recommendations to improve your day-to-day work. If you’re somewhere in the middle, you’ll get the best of both worlds. Matt Chiera is CEO of Ice Nine Online, an award-winning full service digital marketing agency in Chicago. 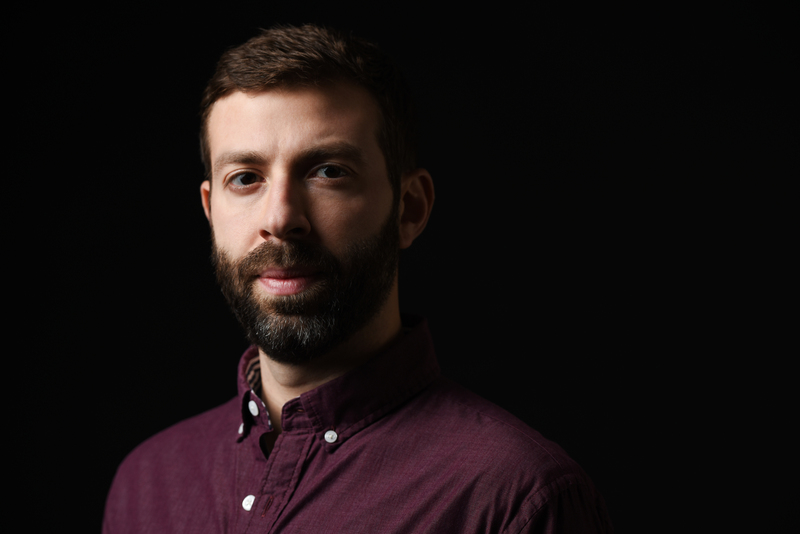 Matt is also Digital Director (contract) for enterprise advertising agency The Well and former Head of Business Development for award-winning search marketing agency Perfect Search Media. Matt has been managing and executing digital marketing projects for over a decade, working with companies like Cars.com, Bang & Olufsen, The Great Escape, CenturyLink, Forsythe Technology, Asurion, Tastings.com, and many more startups, mid-market companies, and Fortune 500s. Purchase a copy, we’ll plant a tree. For each copy of “Digital Marketers Sound Off” sold we’ll be donating $1.00 to plant a tree in the United States via the non-profit One Tree Planted. One Tree Planted is a 501(c)(3) non-profit based in Shelburne, Vermont. They work with amazing reforestation organizations around the world that need financial support to help them get more trees in the ground.